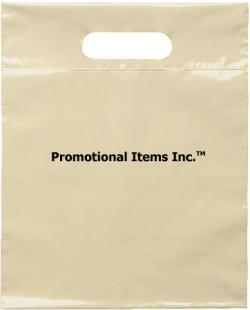 Promotional Items, Inc.™ invites to select promotional plastic bags. Trade show bags, plastic bags custom printed for promotional giveaways. Plastic bags have more marketing and advertising applications than there are sizes of promotional plastic bags. 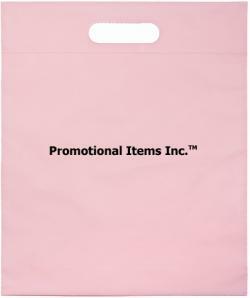 Bags for trade shows are now the number one application for promotional plastic bags purchased in bulk quantities. Our plastic bags are of the highest quality plastic possible and for economy plastic bags a one color printing per side. Have a last minute trade show or event? Four Day Factory Production is standard for orders of 3000 bags or less. 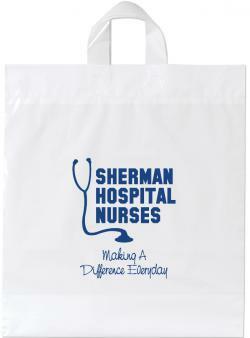 Featuring various sizes, styles and colors available to fit your business need for custom printed plastic bags. Plastic bags with a 2.5 mil thickness die cut handle bags progressing to 3.5 mil thickness soft loop handle bags. 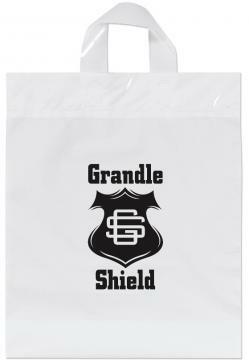 Die cut handle bags in sizes for marketing stuffer bags, bags for brochures, catalogs and promotional giveaways. Soft loop handle promotional plastic bags due to their strength & large size are generally utilized as tradeshow bags. All of our plastic bags are Made in the USA for assured promotional product quality and American jobs. The promotional plastic bags on this page are Number Four LDPE for responsible business promotion. 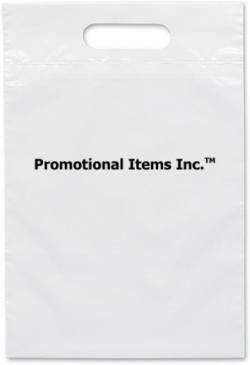 Scroll down this page to source the promotional plastic bag or trade show bag for a marketing event. 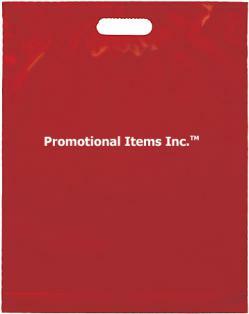 Visit our Trade Show Giveaways page for giveaways to distribute with your promotional plastic bags. 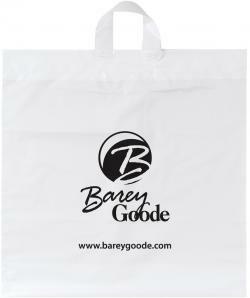 Plastic bags for advertising, marketing or trade show bags are available. Bulk order plastic bags at discount prices printed for promotional plastic bags.